A group of seven members will survey harbor activity matters, safety, water quality and infrastructure among other waterway-related goals. 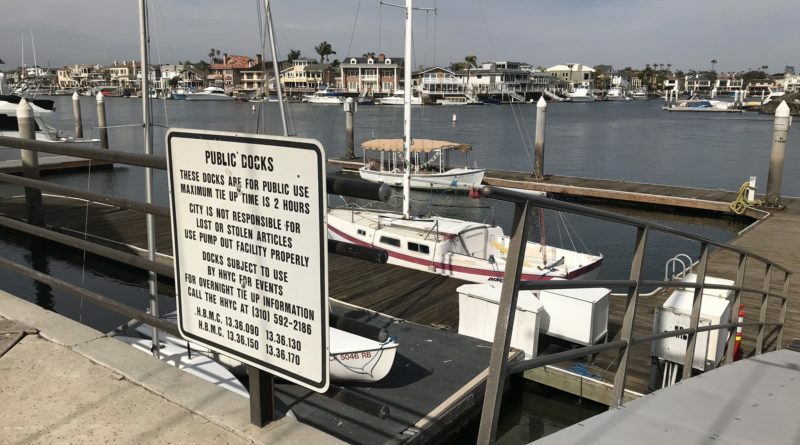 HUNTINGTON HARBOUR—At the end of 2018, Huntington Beach City Council approved the newly formed Huntington Harbour Commission, an agency that will be able to provide feedback to council members on subjects related to the waterways of Huntington Harbour. The Log previously delved into a brief cultural history of Huntington Harbour, one of the lesser known harbors in Orange County and certainly along Southern California’s Coast. However, the new commission may be about to change that – at least when it comes to the waters in this area. In an email with city staff on Jan. 30, The Log was able to discover a few tidbits about the new harbor commission. Just a few of the topics commissioners will tackle mentioned in the email were waterway safety, general infrastructure such as seawalls and pier headlines, and water quality. Newport Beach Harbor Commission has cited the death of a paddlerboard user in Huntington Harbour’s waters as reasoning behind recent safety urgings concerning the use of paddleboards. At a later date it was revealed the paddleboard user, who had paid to take lessons in the harbor, could not swim, a shocking revelation to many. However, boaters and others who participate in on-water activities in Huntington Harbour will now have representation they can turn to when meetings begin. “The Harbour Commission may study, report and analyze issues regarding the Huntington Harbour and may assist in securing financial support for the Harbour, its beaches, parks, and recreational needs. The Commission may advise the Council on all Huntington Harbour related improvements proposed by the City and make recommendations to the City Council for adoption of regulations and programs related to the goals, objectives, and policies of the Harbour,” continued the email. Last year, Dana Point Harbor successfully formed Dana Point Harbor Advisory Board (DPHAB), essentially functioning as a harbor commission, which has since held monthly meetings except for an occasional cancellation. DPHAB has been heavily involved in providing feedback on the new harbor revitalization plan that has begun under new landlords Dana Point Harbor Partners. Avalon, Catalina Island’s only municipality, has also begun discussions about bringing back a harbor commission that dissolved sometime in the early 2000s. In the past, The Log has written about the value of a harbor commission, especially to recreational boaters, who are given another course of communicating public needs for the waterways, coastal developments and more through these agencies. Of course, these agencies only function as well as the feedback they receive, so The Log always promotes taking action and being involved in policy-making surveys and meetings. For more questions about Huntington Harbour Commission, Antonia Graham, staff at Huntington Beach City Manager’s office, can be contacted at antonia.graham@surfcity-hb.org or by phone at 714-536-5537.